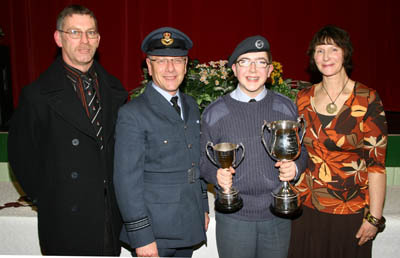 Squadron Leader John Martin 3WW ADO with Mr and Mrs Mogford. 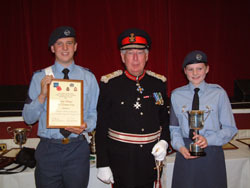 This has to be a British Record for the ATC !!! 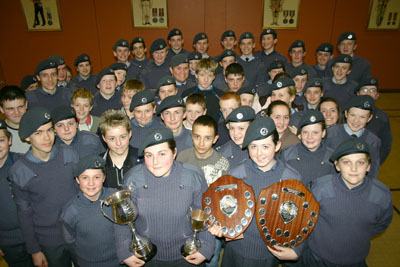 Cadet D'Angeli (f) & Cadet John (f) show off their awards to the Cadets of the Squadron for coming first and second in the South West Wales Area out of the Army, Sea and Air Cadets. 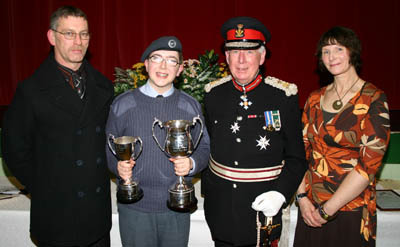 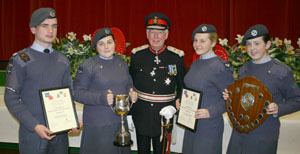 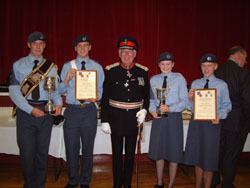 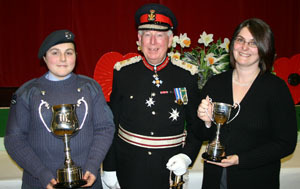 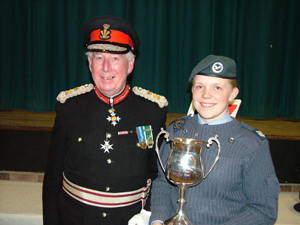 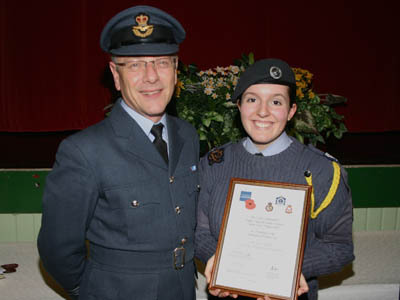 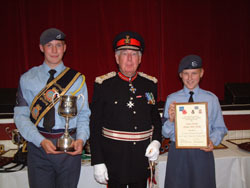 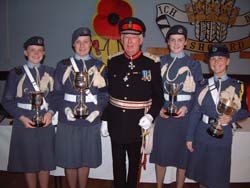 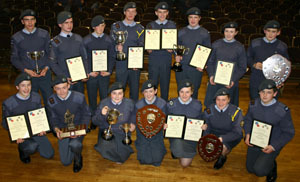 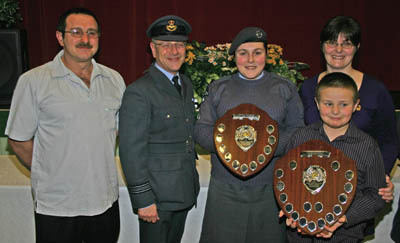 show off the Squadron's Awards with the Lord Lieutenant. 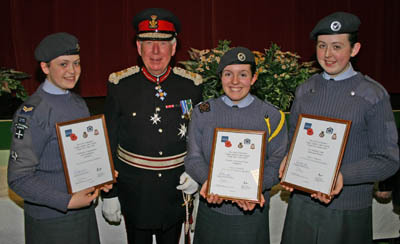 Certificate of Appreciation for Exemplary Community Work. 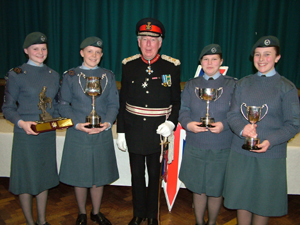 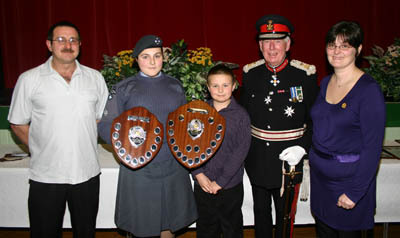 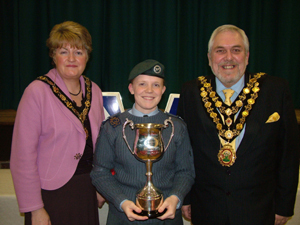 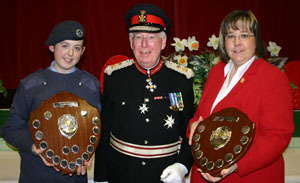 The Lord Lieutenant of West Glamorgan, Commodore RC Hastie, presented the Cadets of 215 (City of Swansea) Squadron with an array of awards after a historical year of fund raising for the Swansea Branch of the Royal British Legion. 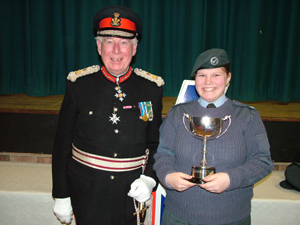 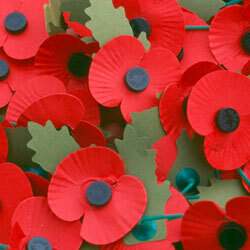 The Cadets committed themselves to the Street Collections, raising over £11,000, as well as helping the Staff to deliver over 600 Poppy Boxes, which raised a total of £17,500. 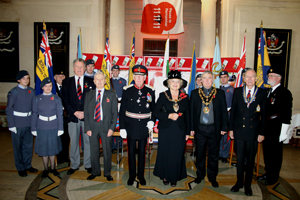 The overall figure raised by the Squadron was a staggering £29,000 and the total raised in the City and County of Swansea was £37,000, the highest amount collected since the formation of the Swansea Branch.